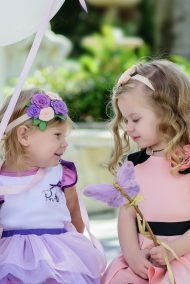 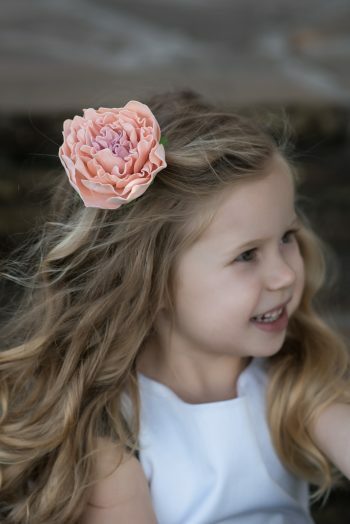 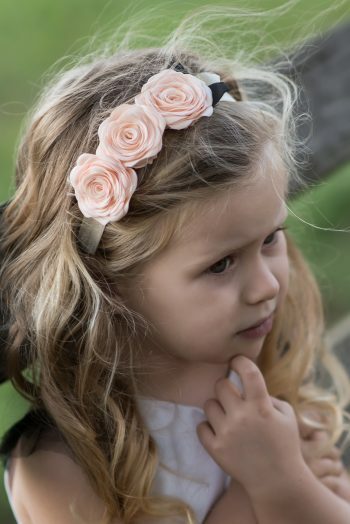 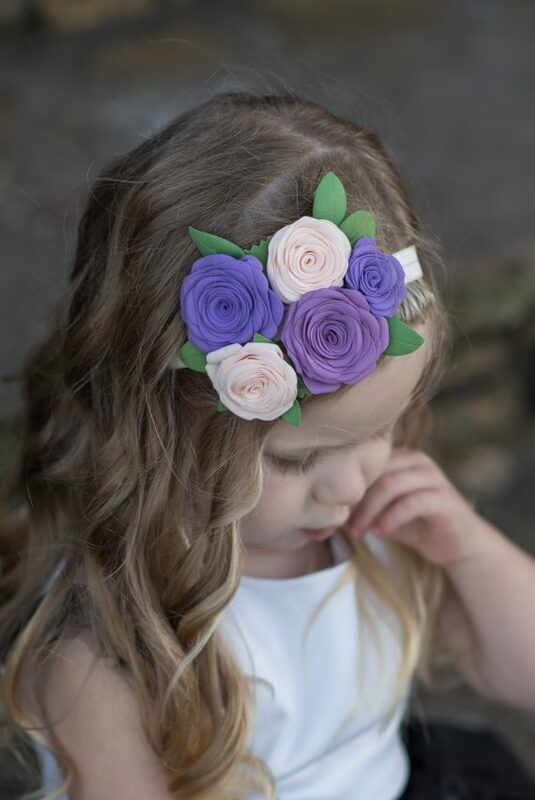 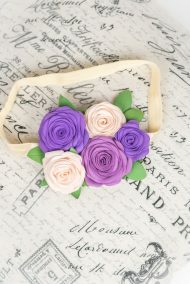 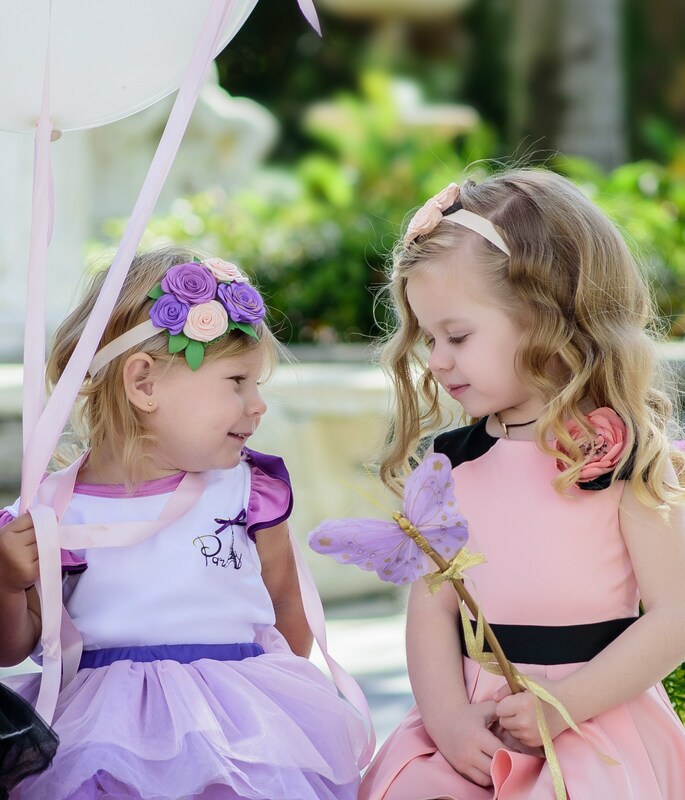 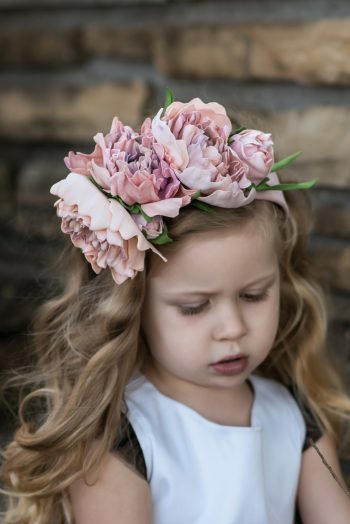 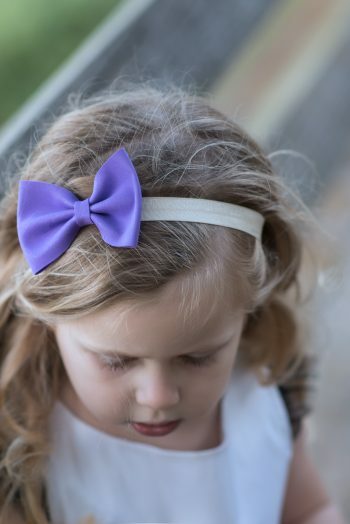 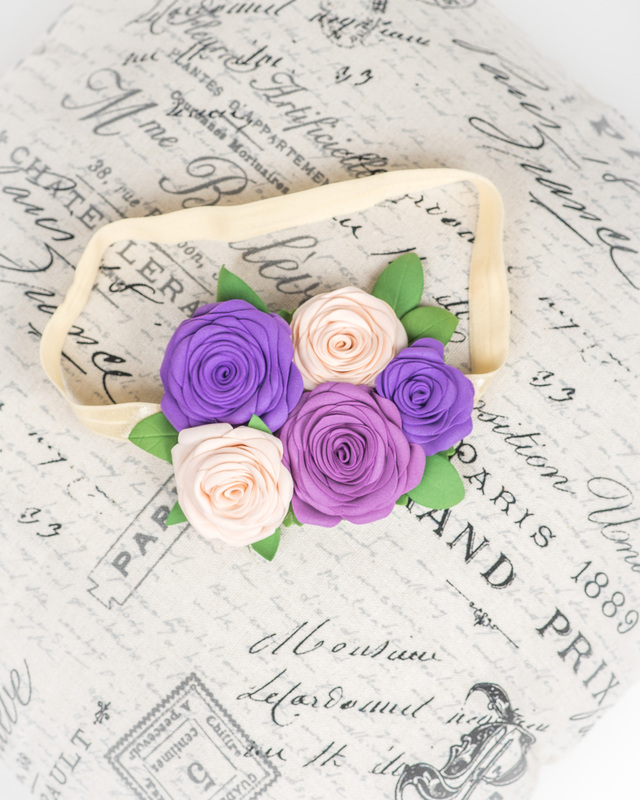 Delicate headband with pretty royal roses in cream and purple is handmade. 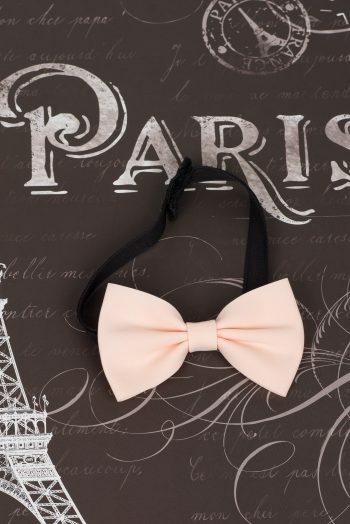 It has a stretchy elastic band in cream cream color. 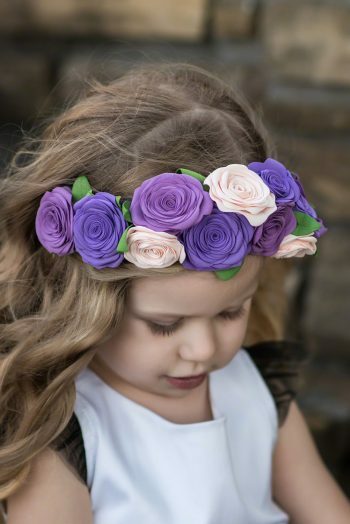 Flowers look very real! 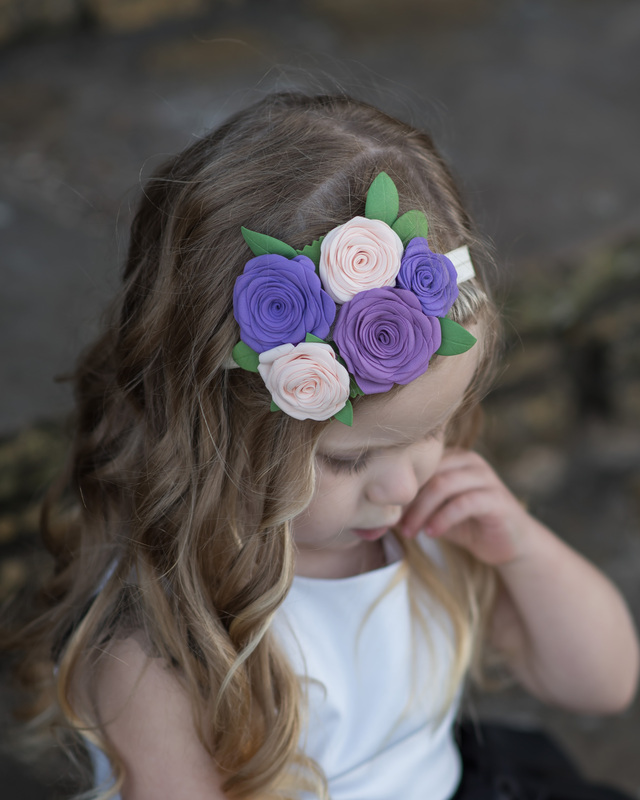 Perfect handcrafted accessory for spring and summer days!